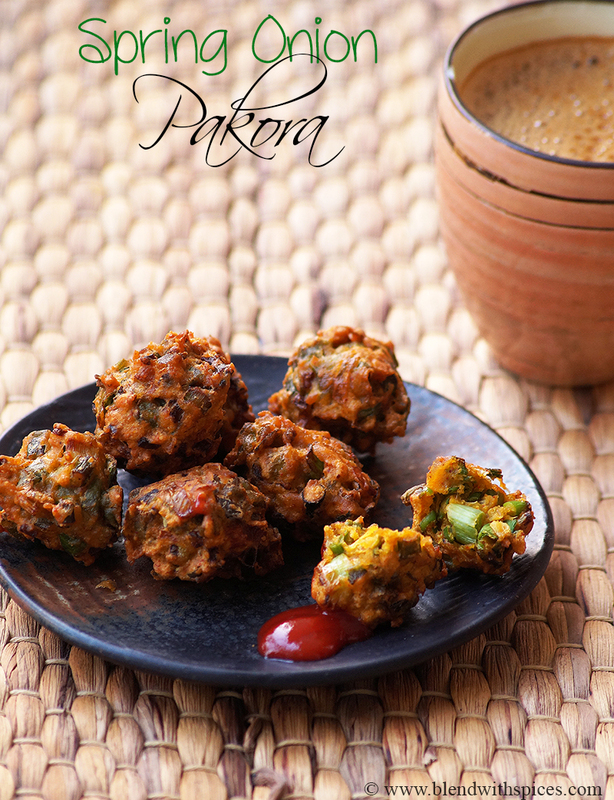 Spring Onion Pakora or Hare Pyaaz Ke Pakode is a delectable Indian snack made with spring onions, gram flour and spices. A perfect tea time snack! Spring Onion Pakoda Recipe – These pakoras are super quick to make with very few ingredients and perfect to pair with tea coffee or tea. 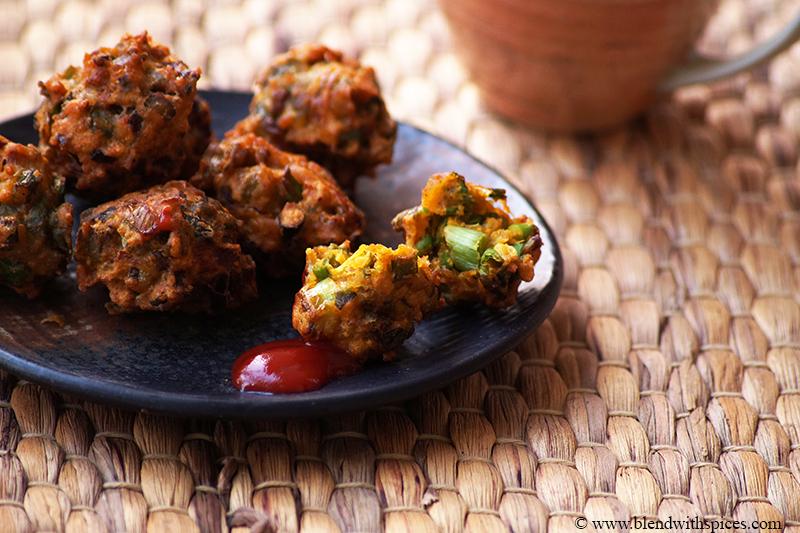 These Spring Onion Fritters are also called as Hare Pyaaz ke Pakode and Ulli Kadala Pakodi. 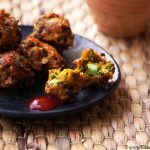 How to Make Hara Pyaz Ke Pakode or Spring Onion Pakora Recipe with step by step photos and video. Wash and chop the green spring onions. Use the green part only. Combine the chopped spring onions, besan, rice flour, salt, chilli powder, chopped green chilli, garam masala, ginger and turmeric powder and mix until well combined. Keep it aside for 5 minutes and rub the mixture well with your fingers. 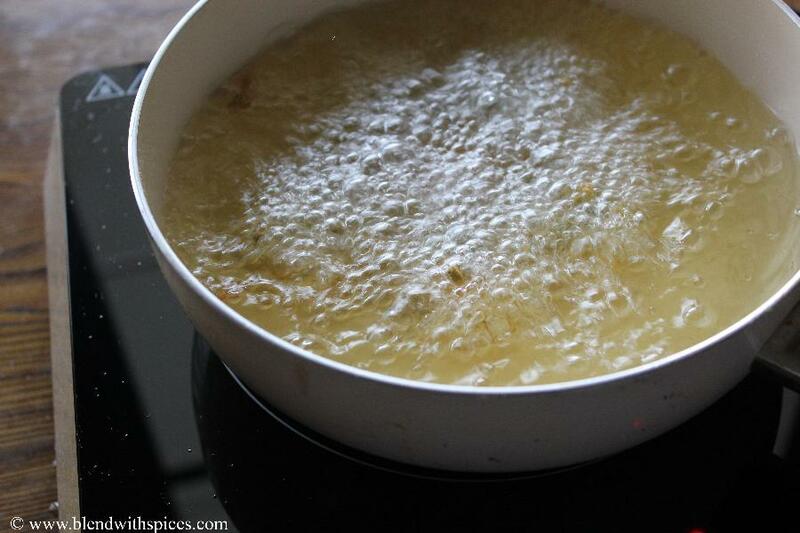 Add a very little water to the mixture and make a very thick batter. Take a small portion of the batter and drop in hot oil. Deep fry till golden brown color. Drain on paper towels and serve hot with ketchup or chutney. Wash and chop the green part of the spring onions and set aside. FInely chop the green chillies and ginger and set them aside. In a mixing bowl, add the chopped spring onions, chopped chilli, chopped ginger, salt, turmeric powder, gram flour, rice flour, chilli powder and garam masala. 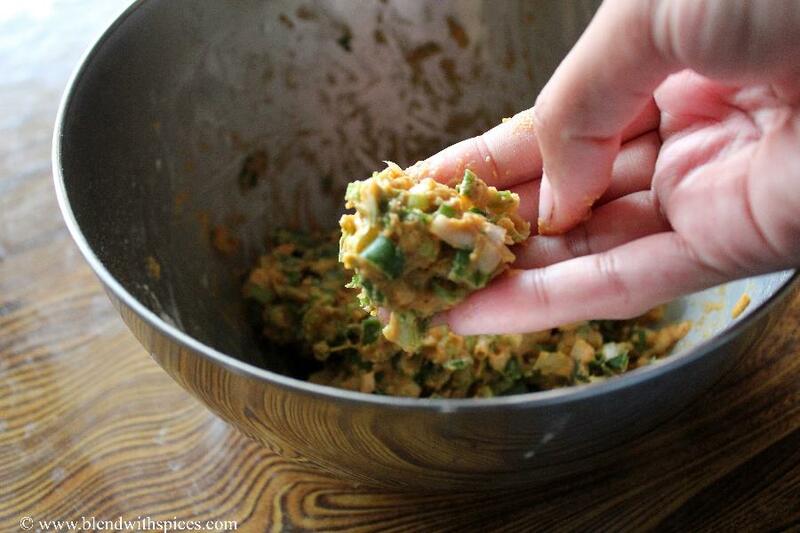 Mix everything well until well combined using your hand or spatula. Keep this mixture aside for 5 minutes. 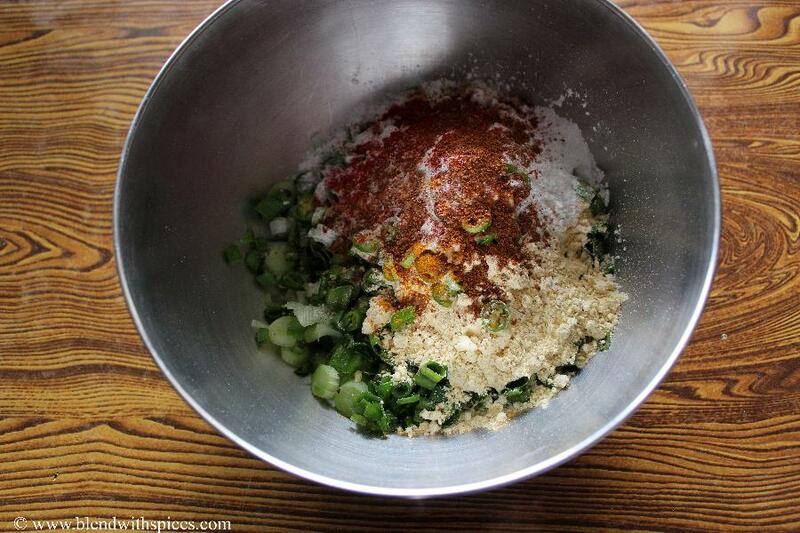 Now rub the mixture well with your finger for a minute. 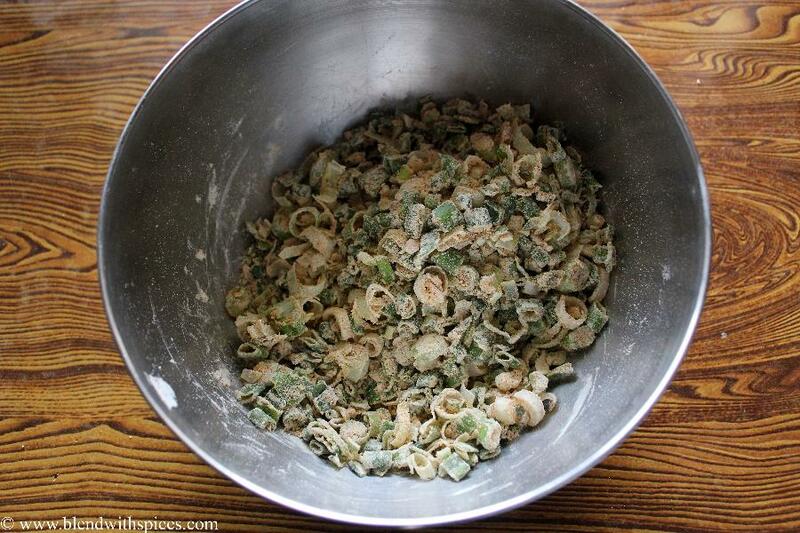 Sprinkle a very little water over the flour and spring onion mixture and combine to make a very thick batter. The batter should not be runny. 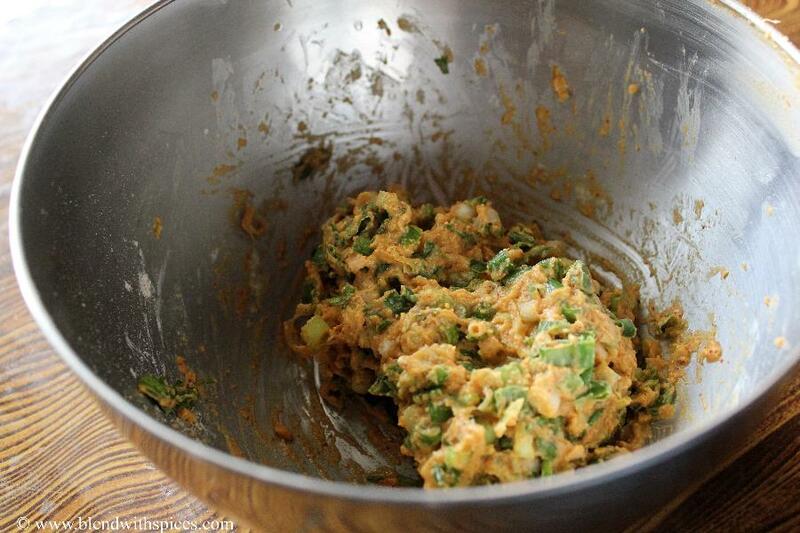 Take a small portion of the prepared pakora batter and carefully drop it into the hot oil. Deep fry them in hot oil till they are crispy and golden. Remove them from oil and drain on paper towels. 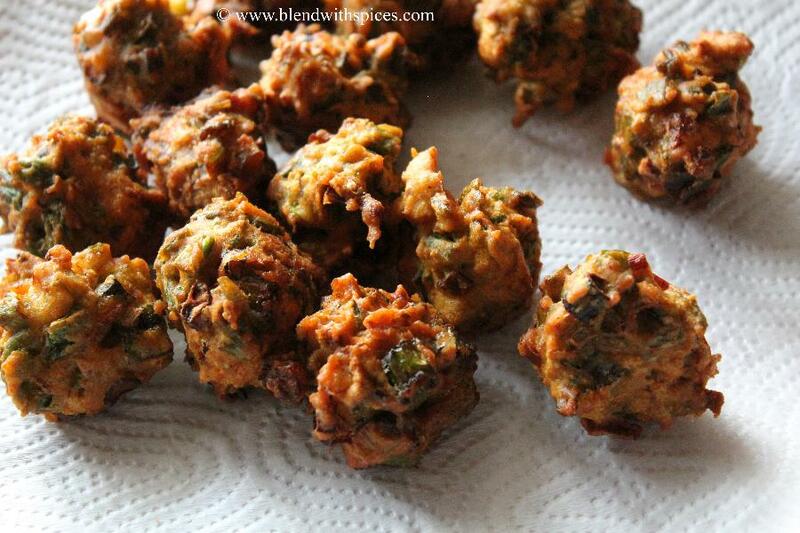 Now the Ulli Kadala Pakodilu or Spring Onion Fritters are ready to be served. Serve them hot with ketchup or chutney.